Get inspired. Visit us at one of our five North Carolina locations, and let us take your inspiration to the next level. Our team will guide you through the Marsh X process to design and build spaces your family will enjoy for years to come. With elegant details throughout, the Ernst kitchen embraces all things traditional. Subtle embellishments begin with the cabinets, which feature a traditional raised panel and neutral finish. Whites, creams, and other neutrals are at the forefront of this style and offer a fresh look that will endure for generations. 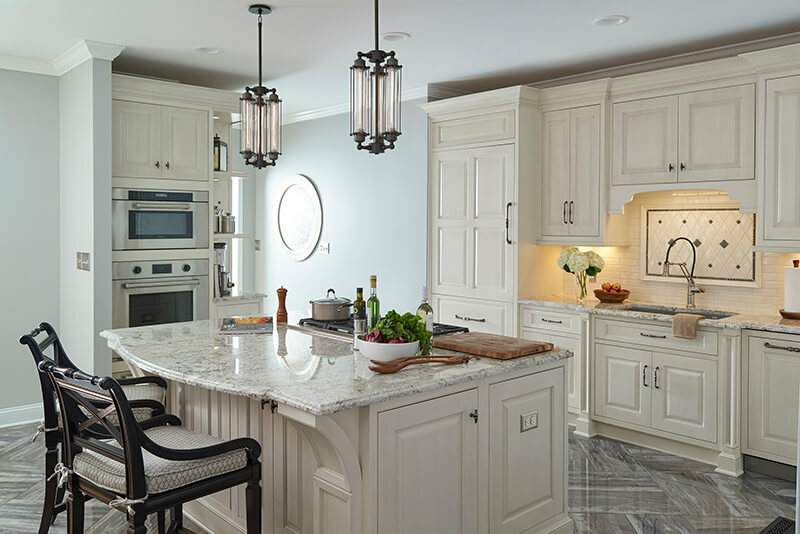 Standing out against the cabinetry are the oil-rubbed bronze hardware and ornate lighting. These classic staples, as well as the luxurious countertops and flooring, add the final touches of elegance.